Actor-playwright Jack Fry returns to New York with his solo show that scratches beneath the skin of a famous physicist. Will the real Albert Einstein please stand up? That question may seem odd to ask today given that the famous physicist died over 60 years ago. 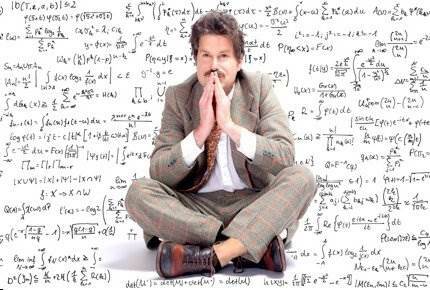 But as actor-playwright Jack Fry brings his new solo play Einstein! to the Under St. Marks Theatre, theatergoers may get their first close look at the man behind the icon. 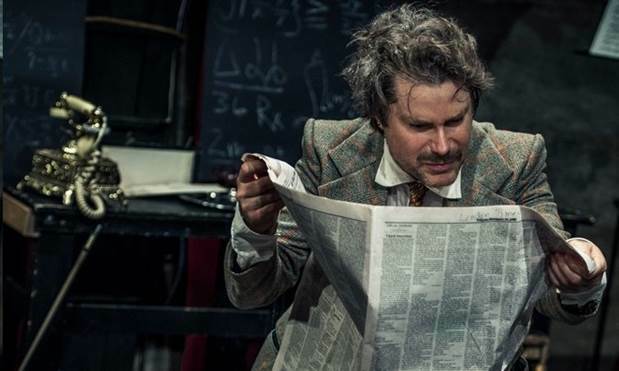 Fry, who wrote and performs the play, was inspired to create this work following the release of 15,000 documents on Einstein in 2007. According to my press materials, Fry felt that the icon had been “cheapened” and caricatured in our culture and wanted to replace the caricature with a true portrait of the historical figure. Instead of focusing on Einstein’s mature years when he was celebrated by the world as the “Father of Relativity,” Fry decided that he would portray the man during his earlier years when he was trying to make a name for himself in the world of science—and everything was going wrong. To wit: World War 1 was breaking out, his general theory on relativity was being rejected--or stolen—by the pundits at the Berlin Academy, his first marriage was falling apart, and his relationship with his 10 year-old son Hans was slowly deteriorating. In short, we meet Einstein on the cusp of his greatest breakthrough in physics, an isolated man who’s unpopular with the academics and alienated from his family. Yes, Fry points out repeatedly in his new play that life was no rose garden for the up-and-coming Einstein. Although the physicist could poetically describe the orbits of Mercury as curving like the petals of a flower, he also would compare his own chaotic life to being like a circus in full swing. This is not the first iteration of Einstein! It has been staged at several Fringe Festivals across the country, earning festival honors wherever it landed. While I missed it at the 2016 New York Fringe Festival, it was spotlighted in the media as one of the Top 10 Shows to See. So why does Einstein! rise above the usual run-of-the-mill solo show? Well, Fry’s painstaking research helps. Although Fry readily has admitted to having no background in theoretical physics (in a recent WNYC interview with Leonard Lopate), the play prompted him to bring on board a physics consultant who ensured that the script was solidly grounded in its physics concepts and terminology. Moreover, for all the projections of cosmic images that are interspersed throughout the performance, Fry relied on some talented folk at the History Channel. In short, everything you see and hear in this play has already passed muster with those in the know about physics and history. Einstein! 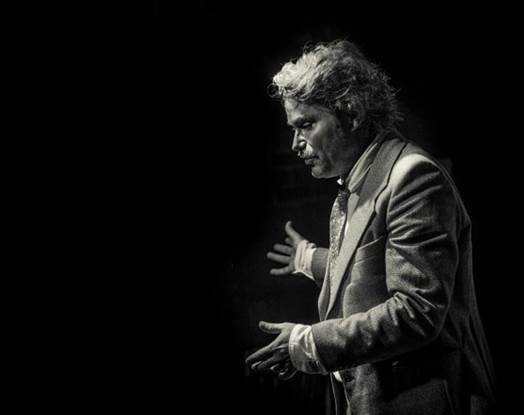 may well be the only play about the famous scientist that traces his 15-year journey in developing his general theory of relativity. It’s currently in a brief run at the East Village. Catch it now, or catch it never. At the Under St. Marks Theatre, at 94 St. Mark’s Place (between 1st Avenue and A Avenue), East Village.